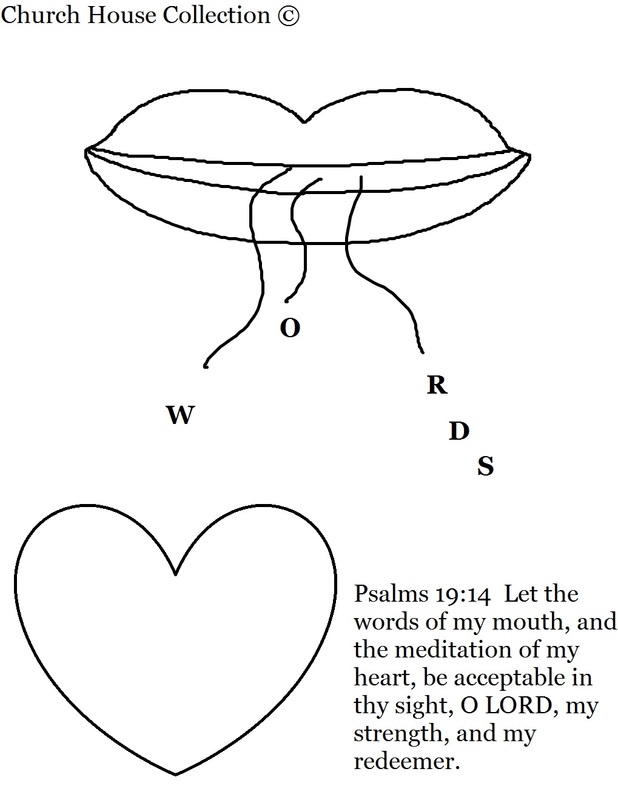 Psalms 19:14 Let the words of my mouth, and the mediation of my heart, be acceptable in thy sight, O LORD, my strength, and my redeemer. This is a free coloring page for kids to color in Sunday school or Children's church. We have more Bible Coloring pages for kids.